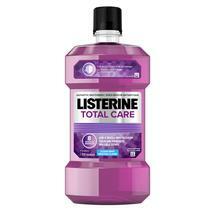 LISTERINE FRESHBURST® Antiseptic Mouthwash is rated 4.6 out of 5 by 13. LISTERINE® Antiseptic Mouthwash has a rich heritage and the Canadian Dental Association validates that adding it to your routine reduces and prevents gingivitis better than brushing and flossing alone. It also prevents and reduces plaque. Try this FRESHBURST® variety! Rated 4 out of 5 by Steph from Bought for sore throat and killing germs Whoa. So I got this yesterday after looking at the billions of choices for mouthwash out there (totally overwhelming but I was looking for one that could help kill a cold). I have to say, I've gargled twice with it and when I woke this morning, my really sore throat was gone. I am doing other things to treat my cold, but this strikes me as pretty darn potent, so I feel sure it helped. The taste is unnatural and plain awful, like mothballs. And it's freaking HOT to me. But I feel like it's going to do what it says! Rated 1 out of 5 by ScreamingMad2014 from Your Screaming Commercial Stops Me From Buying Your Product. Your Screaming Commercial Stops Me From Buying Your Product. Rated 5 out of 5 by netspace58 from Live By It! Leave your mark with a fresh taste and long lasting results. Great product to swish away germs and to heal a sore throat. I highly recommend this product to anyone as they would benefit from the results. Rated 5 out of 5 by Eidolon2641 from Great taste and works. I enjoyed my two week challenge with Listerine and certainly feel the improvement in my gums especially in an area on the lower left quadrant that I was having some trouble with. I usually rinse with Listerine but for the challenge i was most diligent and will continue to keep up the twice a day routine. 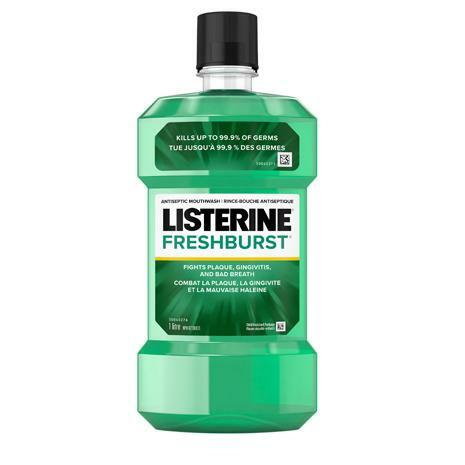 Rated 5 out of 5 by easter2000 from LISTERINE® CLASSIC CLEAN FRESH BURST® Listerine is the best antiseptic that I have ever used all of my family uses it I recommend it to my friends that have never used it in their lives. They started using it permanently and there breath smell fresher and it seems to keep the enamel clean I would never try anything else. 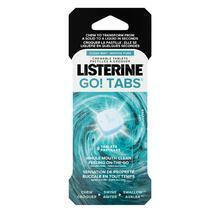 Rated 5 out of 5 by Gina from Love the therapeutic benefits of Listerine to improve my oral health. 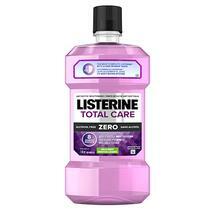 I recommend Listerine use twice a day to improve your oral health. I Brush and floss twice daily but after beginning to use Listerine in addition to my homecare I have reversed my gingivitis and bleeding. Great benefit to your mouth health. Everyone should use it. Rated 5 out of 5 by Derek007 from Does it for me. I really don't think I'll ever change products, ever !